In the past ten years, brazing technology has undergone sweeping changes. Yet because there are so few practitioners who understand the finer points of the technology, many of the companies that use brazing as their preferred metal-joining procedure are failing to use it to best effect. Fully updated to reflect the latest practices, this second edition of Industrial Brazing Practice helps you develop the most effective brazing procedure for your particular needs. It reveals the six simple rules of brazing and explains how they impact essential brazing procedures. These rules effectively form the bedrock of problem-solving procedures in this field. Written by an expert with more than 50 years of experience, the book combines fundamental principles with practical, hands-on advice. 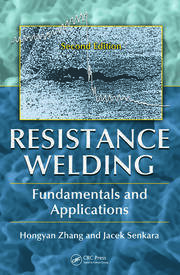 The author highlights the intrinsic versatility of the brazing process and covers a wide range of conditions and technical possibilities. He walks you through the nine stages of the process audit, from identifying service conditions, to selecting materials and design, to assessing process complexity. A chapter answers frequently asked questions such as "is it possible to braze ceramics" and "what is MIG brazing?" This comprehensive book contains the information needed to enable you to develop best-practice solutions to the daily brazing problems you may encounter in the production shop. Packed with flowcharts, illustrations, and case studies, it is an invaluable reference for anyone involved in industrial brazing. Where Does Brazing Fit in Joining Technology? Is It Possible to Braze Ceramics? Can I Braze to a Plated Surface? Can Brass Be Successfully Brazed without Flux in a Reducing-Atmosphere Furnace? Is It Good Practice to Braze Tungsten Carbide Tips to Circular Saw Blades with a Brazing Alloy Conforming to ISO 17672: 2010 Types Cu 470 to Cu 773? Will There Be Problems with Brazed Joints That Are in Contact with Ammonia in Service? What Is the CuproBraze® Process? Philip Roberts owns and operates Delphi Brazing Consultants. He joined Johnson Matthey and Co. Ltd in 1963; so began his 50-year association with the promotion of the principles of "best practice" brazing. During the next 30 years, he occupied a number of marketing and technical posts with the three (then) primary suppliers of precious metal brazing alloys and other silver-bearing products, namely Johnson Matthey, Engelhard Industries, and Degussa AG. In 1996, he created Delphi Brazing Consultants. He is chairman of BSI WEE/19 and CEN/TC121- SC8—involved with British and European Standards, respectively, for technical matters related to all facets of the brazing process. Since 1998, he has been chairman of the European Association for Brazing and Soldering and, since 2006, he has been the principle UK expert on ISO/ TC44-WG3, a group of international brazing specialists who are responsible for the generation and/or revision of new international brazing standards. "This second edition of Industrial Brazing Practice offers valuable support based on decades of practical experience provided by one of the most recognized experts in this field. It offers the budding brazing practitioner a guide to help respond to a given brazing task systematically and solve it successfully. This book should find its permanent place on the desk of any brazing operator." "Philip Roberts brings the reader an industry background spanning six decades. His perspective provides a hands-on vs. theoretical understanding of brazing fundamentals and practice. His format for evaluating brazing applications will be helpful to anyone involved in producing brazed assemblies. This is a good reference book for inclusion in every brazing library." 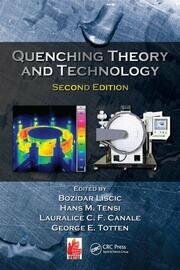 "This book is a comprehensive collation of the fundamental principles, theory and applied practice of brazing technology. It places the evolution of brazing technology and current industrial brazing practices in historical context. 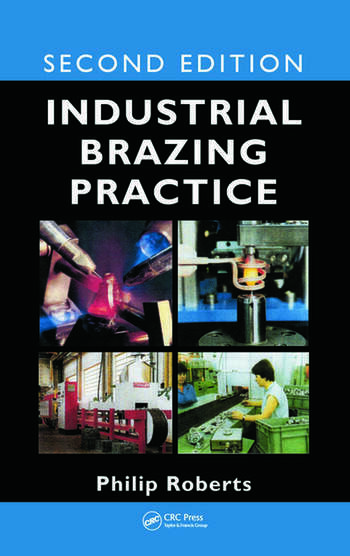 It is an invaluable reference for managers, engineers, technicians and students involved in modern-day industrial brazing."